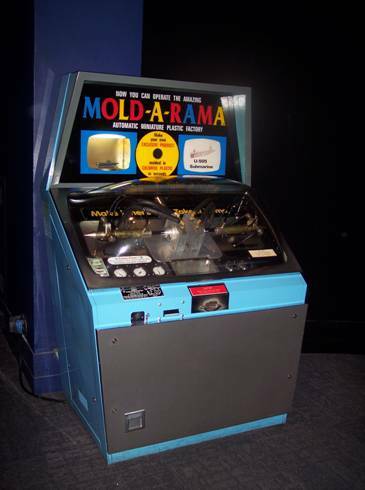 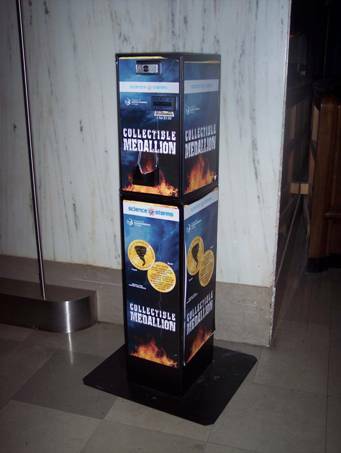 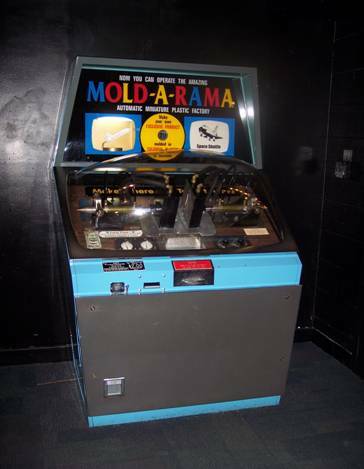 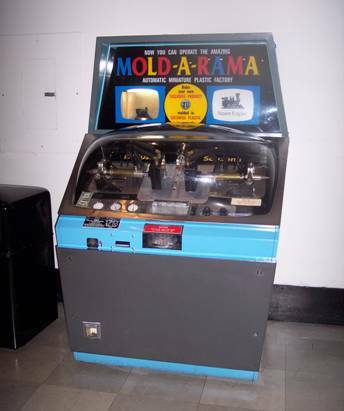 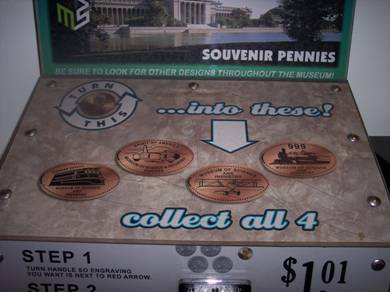 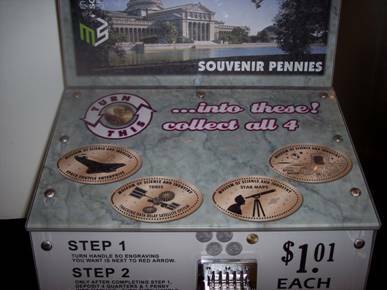 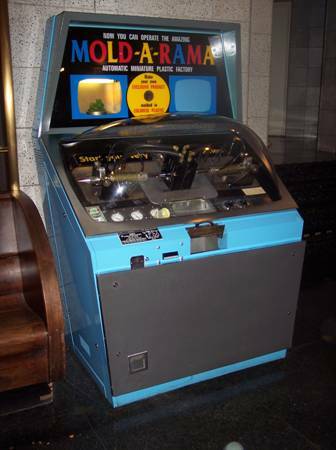 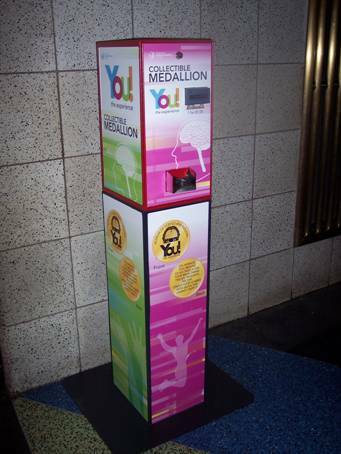 As of November 2013, there are 7 penny presses with 4 designs each and 2 medallion/token machines. 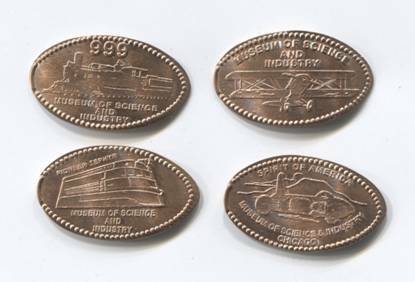 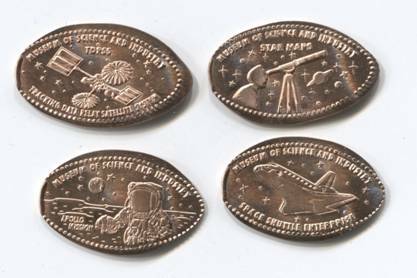 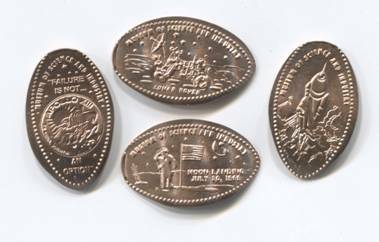 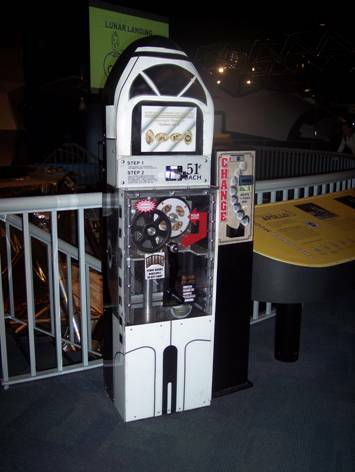 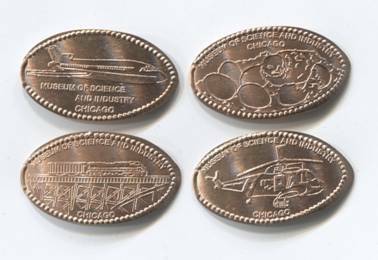 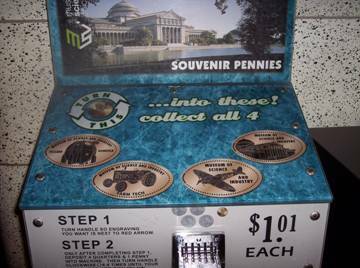 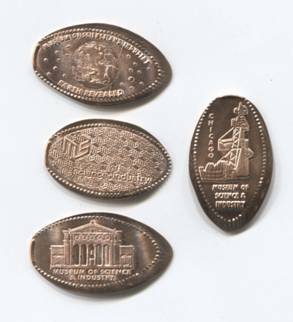 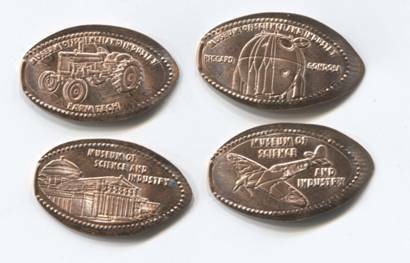 The penny presses each cost $1.01, except the machine in the Henry Crown Space Center, which currently remains at 51 cents. 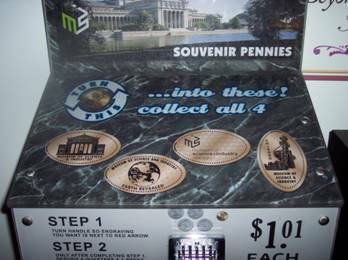 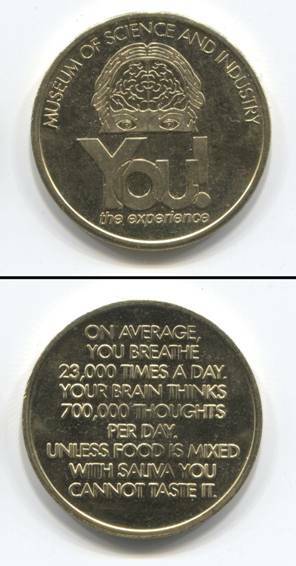 Medallions/tokens are $1 each. 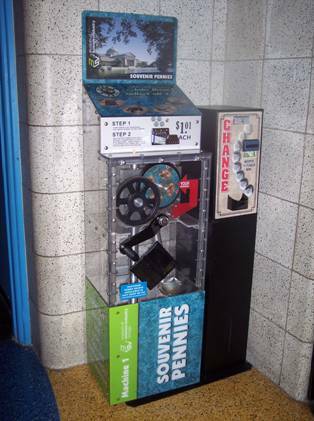 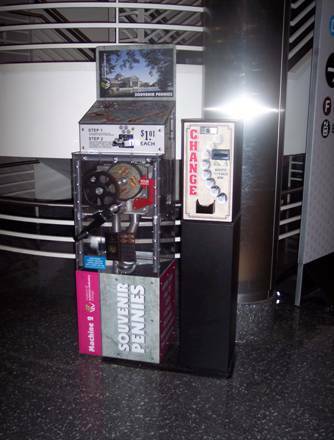 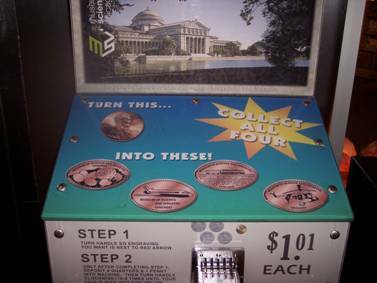 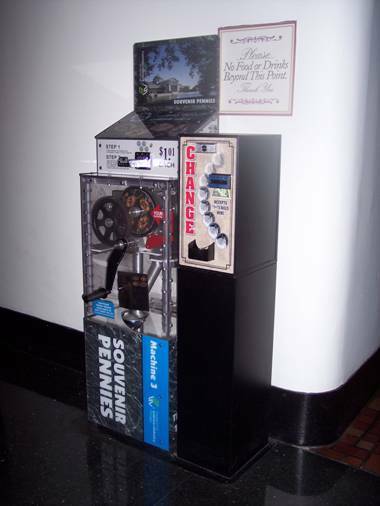 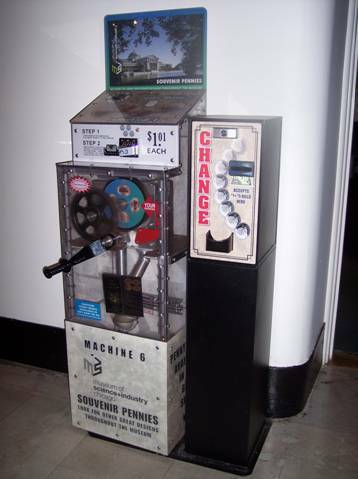 All penny presses are accompanied by a change machine. 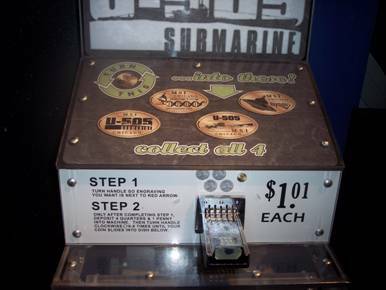 The token machines take dollar bills. 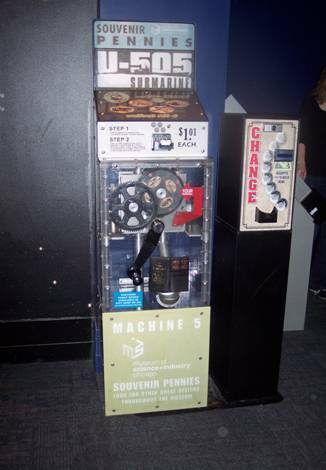 Machine numbers are as assigned by the museum or, if none is assigned, then by me. 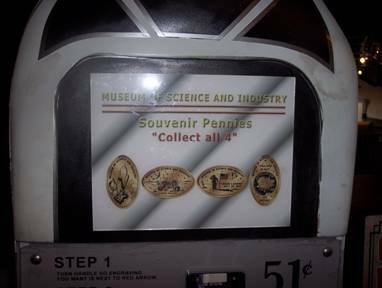 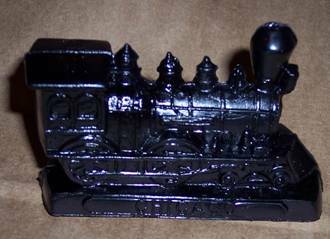 They do not necessarily match the numbers assigned by www.pennycollector.com or other sites. 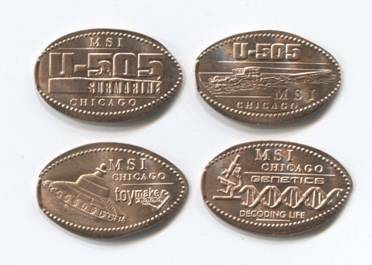 4 designs have been available for many years. 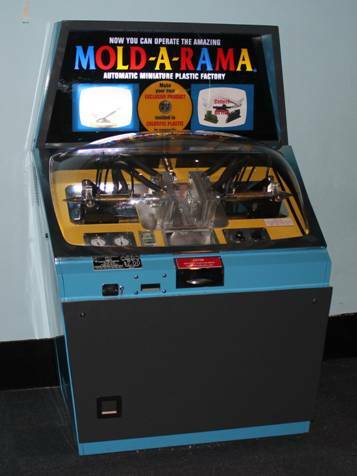 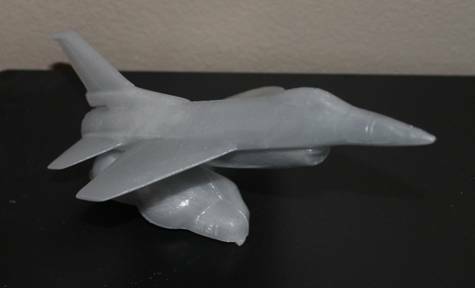 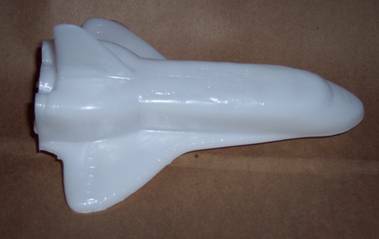 A 5th machine was added in January 2014: jet airplane. 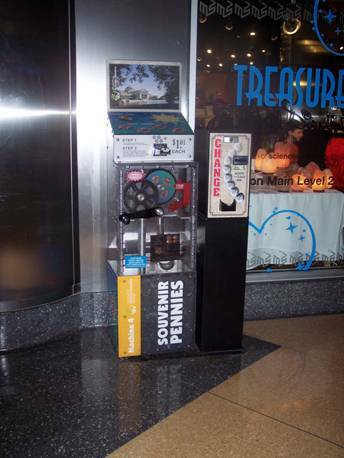 The toys cost $2 each.